For £60- I will compose and produce up to 2 minutes of music in any style that you need. You will receive the track in uncompressed WAV format at the highest possible sound quality. Describe what kind of music you need and I will compose a piece of music for you that matches your needs, for example if you needed some motivational epic music, I would create an original piece of music in that style for you. If you have a specific way you would like the track to be arranged, let me know and I'll arrange that in the way you require, as long as it stays under the 2 minute mark. I will produce your music with Logic Pro X. I have over £10,000 worth of equipment at my disposal to help me create the best quality track for you. This allows me to produce at the professional level. For me to deliver the best quality end product, I will need as much information as you can provide regarding the project itself and the type of music you want/like, with maybe a reference to something similar. PLEASE MESSAGE BEFORE PURCHASING HOURLIE. Mathew J. Rees is a multi-award winning composer and sound designer. 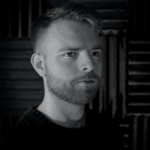 His recent credits include Persis Films' Last Few Weeks, Red Razor's thriller The Scarlet Vultures directed...Read moreMathew J. Rees is a multi-award winning composer and sound designer. His recent credits include Persis Films' Last Few Weeks, Red Razor's thriller The Scarlet Vultures directed by Kyle Martellacci, and Rishi Opel's The Date. Other credits include The Last Earth Girl directed by Jim Wetter, and Gillian Zinser's Whoever You Are as well as many award winning shorts and projects, notably Andante by Heather Merrill and Neil Jackson's Off Ramp.